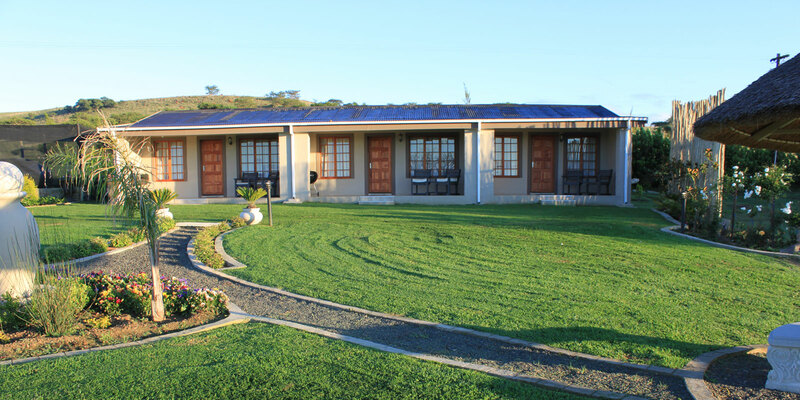 Drakensview Self- catering Cottages are set on a hillside and offer superb uninterrupted views of the Drakensberg. These self-contained units are modern and tastefully decorated, providing an ideal option for those who prefer the flexibility of self-catering accommodation. Each suite comprises a luxurious king-size bed with the comfort of Oxford white linen. There is also a fully equipped kitchen with a microwave, stove and fridge, and an en-suite bathroom with towels provided. Barbecue facilities are available for guests and braai packs and braai sandwiches can be arranged on request. Shaded parking is available for guests and each unit has a list of things to do in the area, along with contact numbers.